Successfully Added Walsun X1 5 Inch Smartphone - MTK6582 Quad Core 1.3GHz, Wake Gesturing, Dual Sim, 1GB RAM, 8GB Internal Memory (Black) to your Shopping Cart. 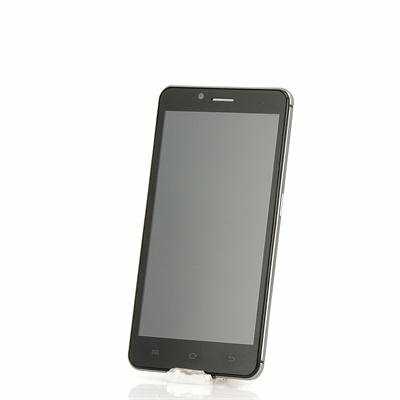 The Walsun X1 has a 5 inch display that offers 854x480 resolutions for a solid viewing experience whether you’re playing games or watching movies. The capacitive touch screen supports smart wake features so you can open different apps quickly by just drawing the preset character on the screen making it convenient to open apps, when this feature is combined with the Android 4.4 OS and Google Now you can effortlessly dictate e-mails, text message or set notifications and events with minimal fuss. Keeping all these features functioning smoothly is an MTK6582 Quad Core CPU that runs at 1.3GHz and is backed up by 1GB or RAM so you needn’t worry about lag or lack of performance as the Walsun X1 has plenty of power for multitasking and heavy usage. 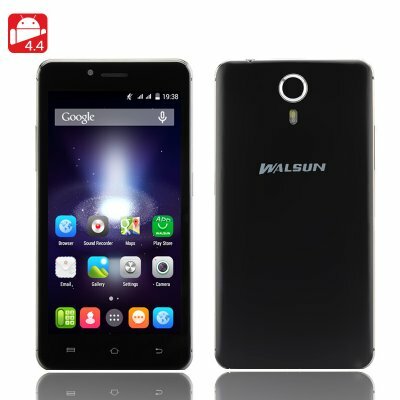 Most Android devices at this price are limited by the amount of memory they have and can support but that's not the case with this Walsun Smartphone. It has 8 GB of internal memory and a micro SD card slow that allows you to add an additional 64GB so you have plenty of room to install all the apps you desire from the vast array on offer within the pre installed Google Play Store.